The FIFA World Cup is the largest international sporting event. Soccer fans around the world will be following it via a variety of different media, including mobile internet. As part of its mission the IAB educates the marketplace about how mobile is changing the way people interact with media and therefore research was needed to understand how consumers would be interacting with the World Cup. Clear evidence that consumers will be dual screening (TV and Mobile) – 37% will use their device at half time, while 35% will use it throughout the game. Meaning that smartphones offer a clear platform to facilitate multimedia campaigns and further consumer engagement. 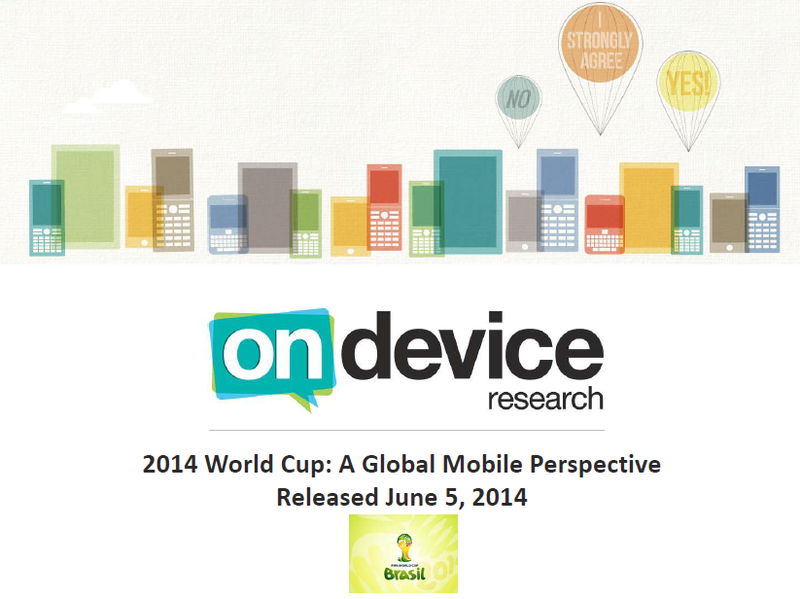 68% of consumers are willing to pay for World Cup video content – offering a potential revenue opportunity. 90% of consumers intend to share their World Cup experience and social media is seen as being part of, and enriching the World Cup experience for consumers. 37% of the sports fans in our sample click on a mobile ad daily, therefore targeting consumers via mobile advertising offers a gateway for brands – if ads offer relevance, deals and a fun/entertaining nature.